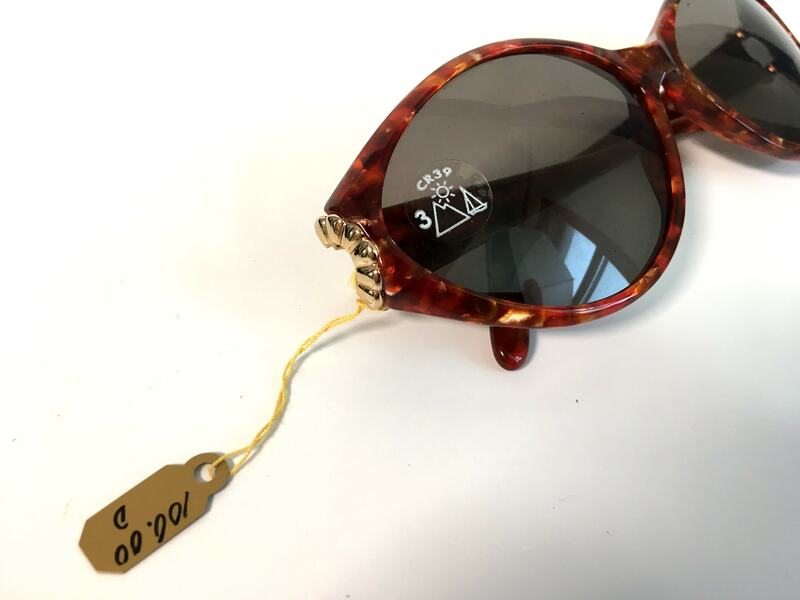 They still have a price tag from someone else dangling from one arm. 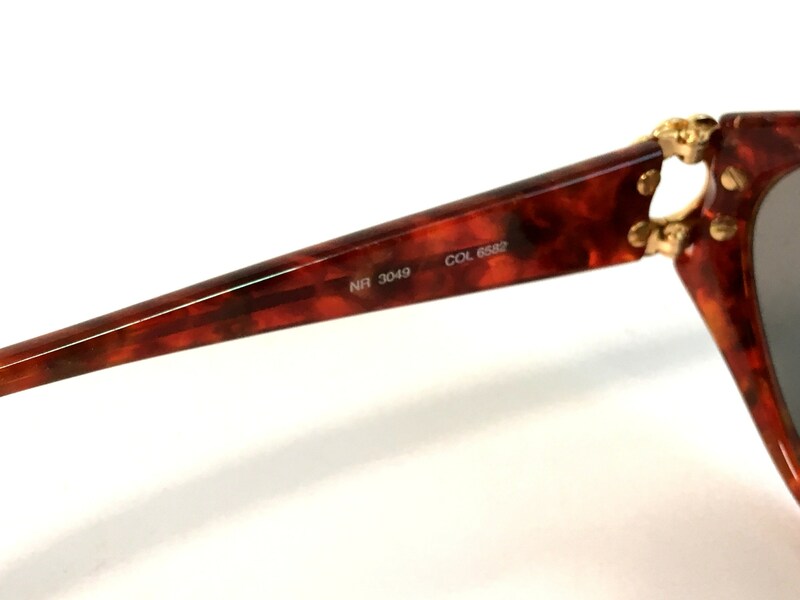 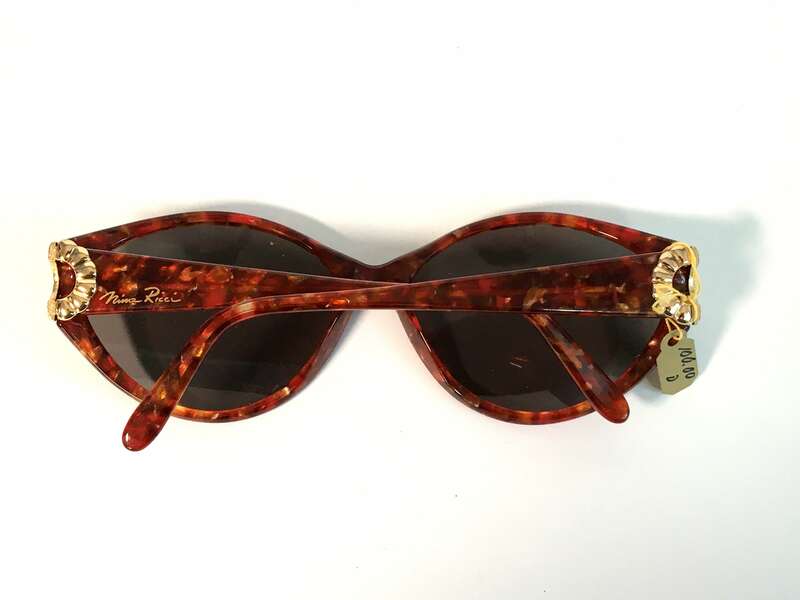 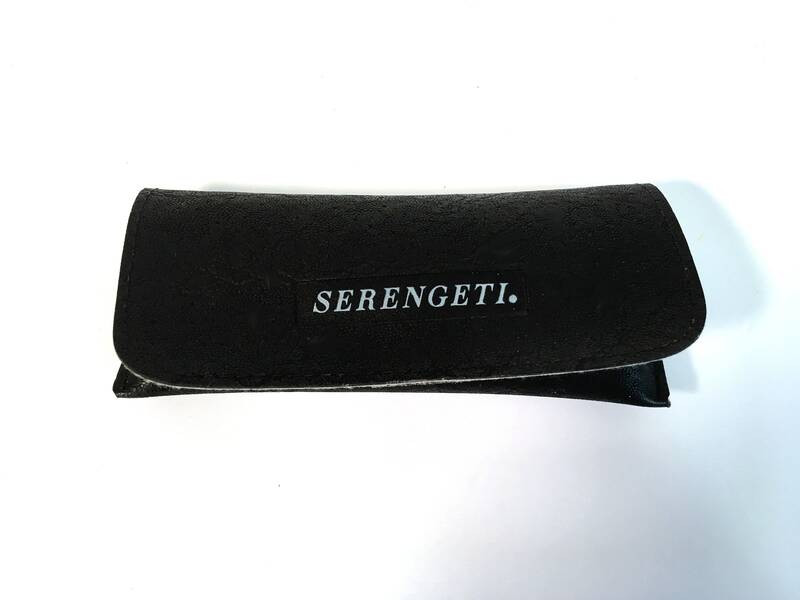 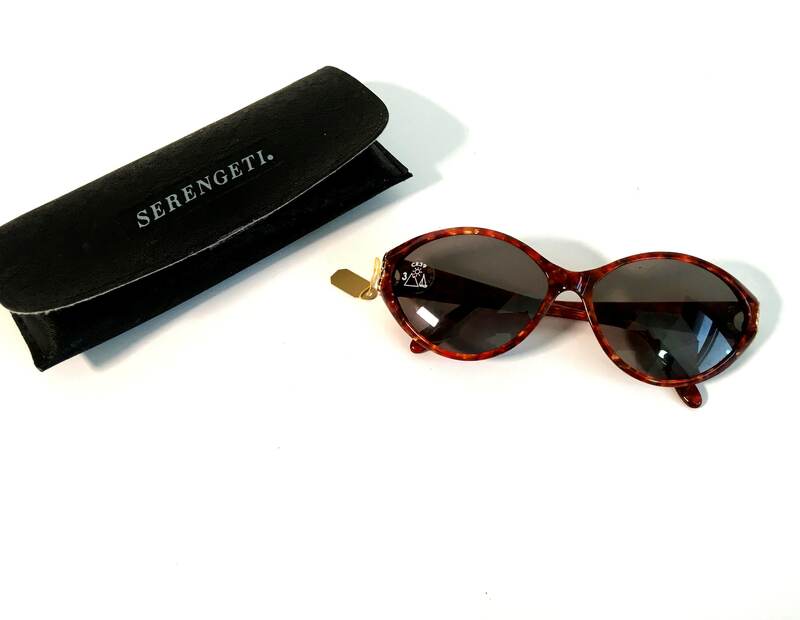 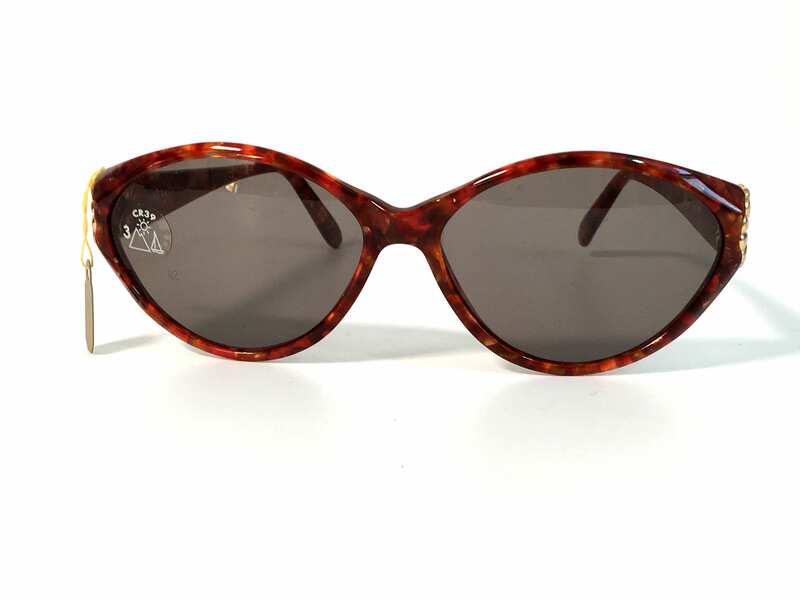 These sunglasses come in the original black case that has SERENGETI printed on the outside front. 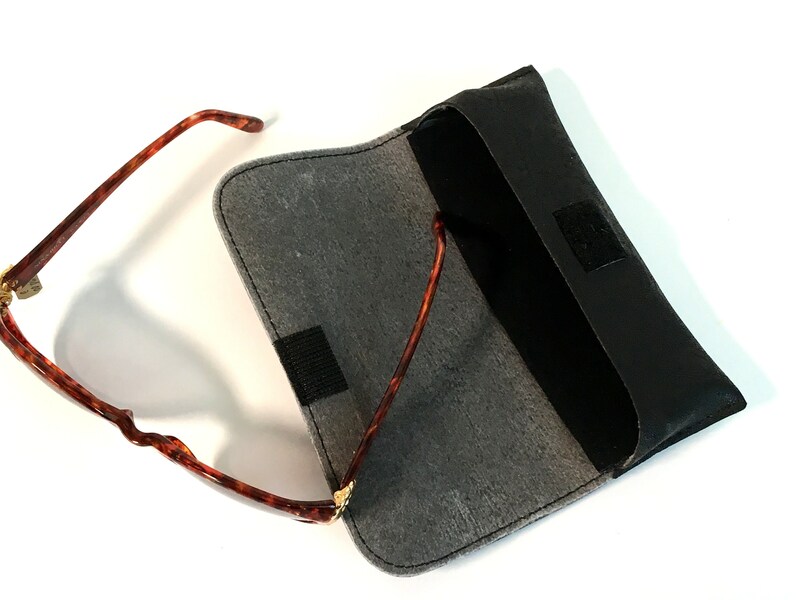 The case, which appears to be faux leather, closes with a velcro closure. 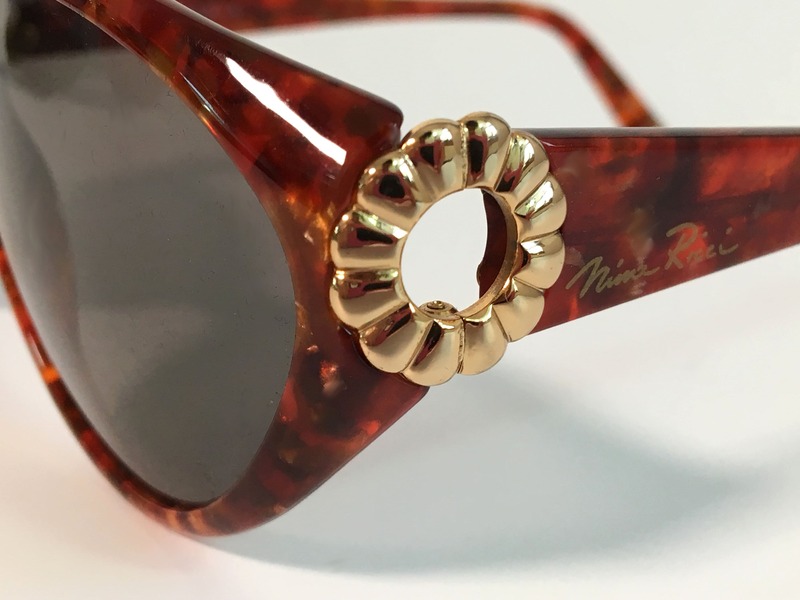 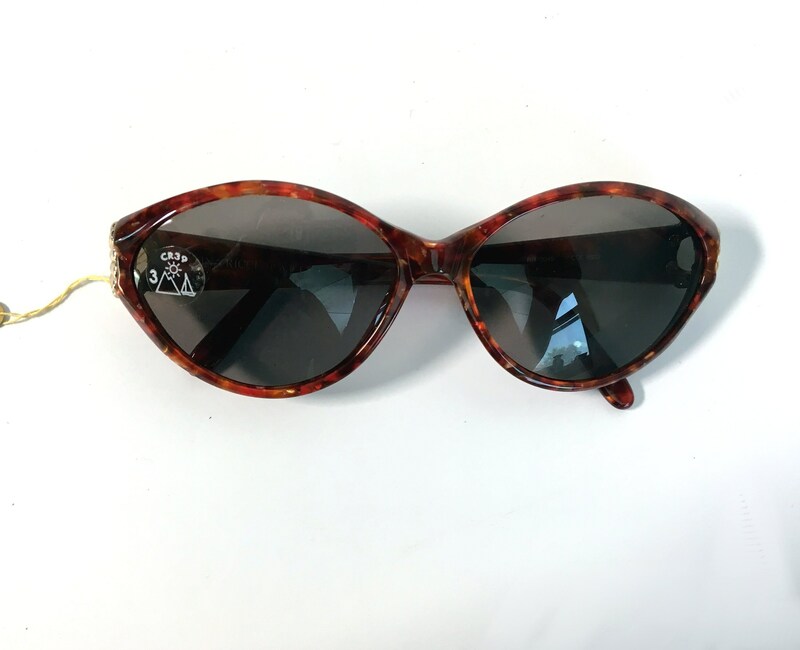 This pair of sunglasses is from the late 1980s. 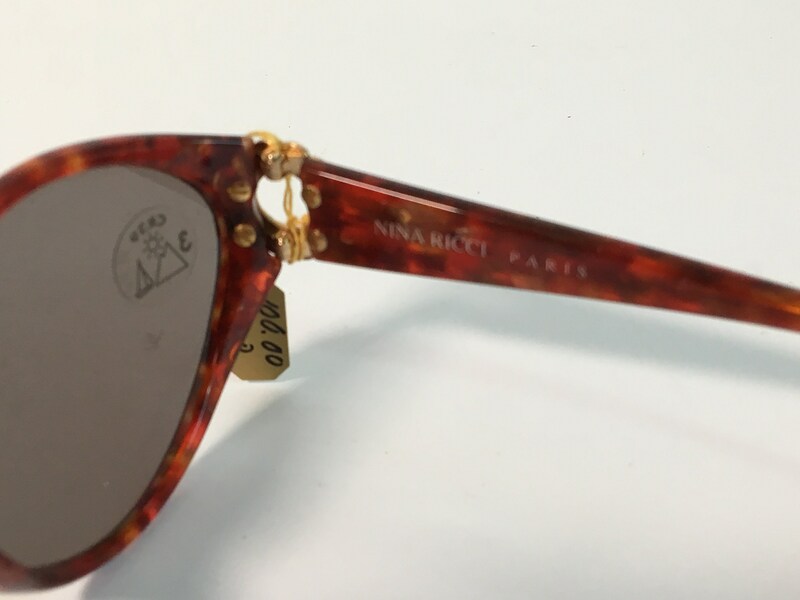 Some very light wear from storage - original sticker for sun protection level is still on the front lens so these appear to never have been used.